Home » Competitions » CLOSED – Win Tickets to The 39 Steps! 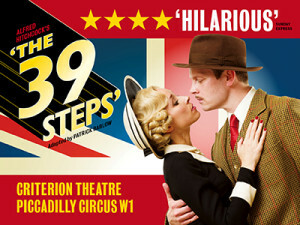 The hit West-End show The 39 Steps comes to an end on 5 September prior to a UK tour. 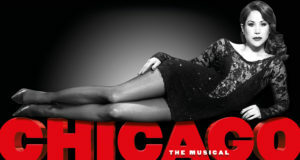 This is your chance to win a pair of tickets! To enter, simply tweet @EveryTheatre on twitter using the Hashtag #HannaysLastHooray or retweet this tweet! #Competition Win Tickets to @39StepsPlay Retweet to win, using hastag #HannaysLastHooray Entries close Friday 03/07 @milktwosugars! Retweet by Friday 3rd July 2015 at 5pm to be entered into the prize draw! Terms and Conditions: Subject to availability. Prize is valid Tuesday – Friday until 31 August 2015. 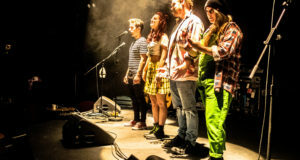 Prize is as stated and cannot be transferred or exchanged. After nine hilarious years in the West End, Alfred Hitchcock’s classic spy thriller, The 39 Steps comes to an end. 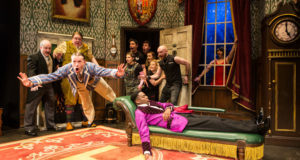 Brilliantly and hilariously recreated as the smash hit Olivier Award Winning show, don’t miss your last chance to see it at the beautiful Criterion Theatre! Follow the handsome hero Richard Hannay in this comedy thriller featuring four fearless actors playing 139 roles in 100 minutes of fast-paced fun. 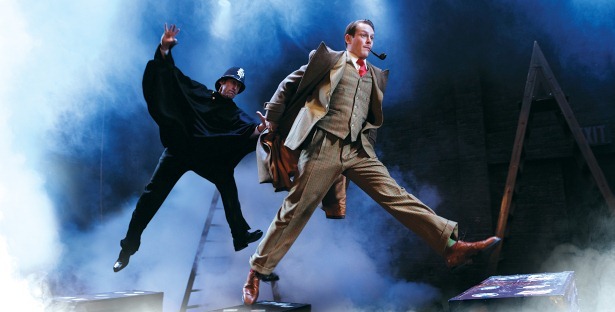 Complete with stiff upper lip, British gung-ho, devastatingly beautiful women and of course fabulous vintage costumes, The 39 Steps has been seen by over 3 million people!